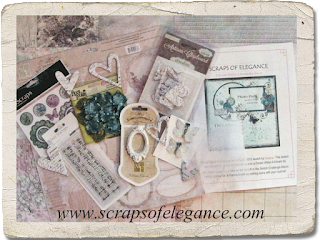 Scraps of Darkness and Scraps of Elegance: Welcome to the January Blog Hop! Following now and hopping along. Thanks for hosting the giveaway! Hello, I love these hops. I am following you, I have liked your fb page, and follow you on pinterest, and I have reblogged this hop to my blog from Scraps of Darkness. Thanks for the chance to win!! I have time to hop today! Hello from Ukraine! Thank you for th intersting game! first time blog hop, thanks so much for a chance to win the beautiful kit! I love the color scheme of this month's kit! So dreamy it will be a challenge to make a layout worthy of the paper! :0 Thanks for the blog hop love this time of month! Mel you rocked in putting this month's kit together!!! It's GORGEOUS!!! Oh my goodness! I can just feel the anticipation! I can't wait to check out everyone's blog!!!!!! Another gorgeous kit! Off to see everyone's inspiration! Love this kit!!! Off to the blogs!! Wow! I believe I visited all the blog sites and certainly am inspired. I haven't purchased the SOE kits yet, but am rethinking that decision. Thanks for the opportunity to see such great work and to win this marvelous kit. Became a follower of a number of new blogs. Yet another stunning kit! Off to see everyone's inspiration! What a great kit it is. I love your blog, you make really beautiful things! Beautiful prize! Thanks so much for the chance to win it! What a beautiful kit! !I'm off to see everyone's blogs!